One thousand, one hundred. That is the number of barrels that the new first year cellar can accommodate. It is two and a half times bigger than the previous cellar and is more functional, too. 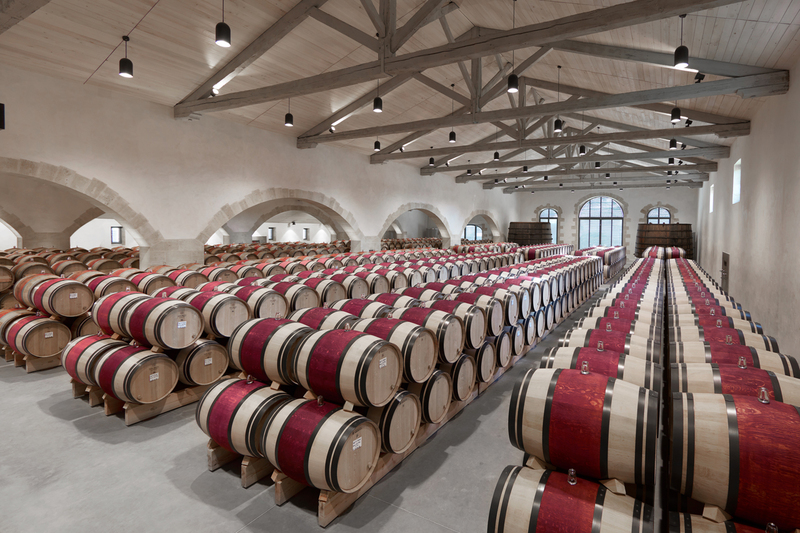 In a soft, warm light and with the cellar’s oak beams and white stone vaults, it mirrors the elegant simplicity of the estate. A staircase and barrel lift hidden inside two large old casks run down to the second year cellar, which has also undergone renovation. Both cellars are equipped with temperature, humidity and air quality control, which are essential parameters in the ageing of great wines. 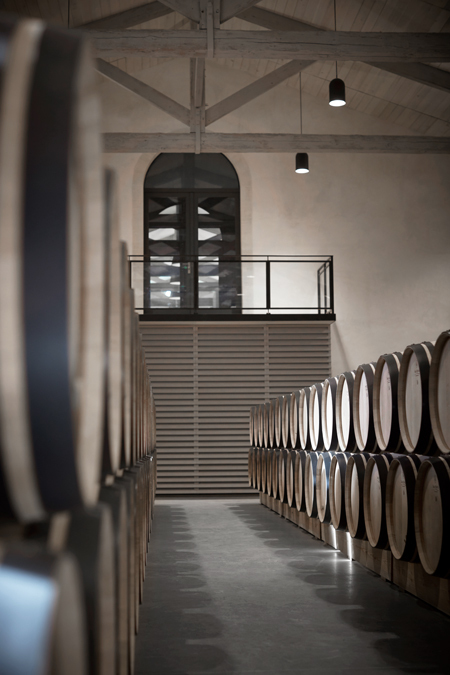 A 35-metre underground gallery has also been created to facilitate transfers between the vat room and the ageing cellars. What was once a work tool has become an intimate, secret place all of its own, where the estate’s old vintages are kept. Passing through this gallery is like travelling through the estate’s past.